NB – While every effort has been made to make sure that the details in this article are current and accurate according to the rules and laws in Mozambique at the time of print, there is a chance that some rules and laws have changed. Please use this purely as a guideline. 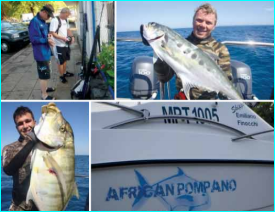 Mozambique is probably one of the most popular spearfishing holiday destinations in Southern Africa. 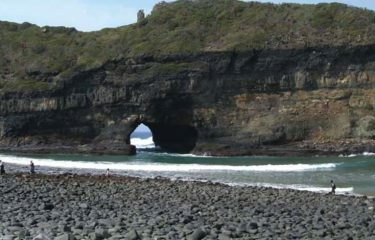 It is relatively close and accessible, with most spots only a day or two’s drive. But it’s the warm palm fringed beaches with beautiful clean water that is the real attraction. And that’s without even looking beneath the surface where large pelagics and dream trophy fish are plentiful, fueling the dreams and aspirations of spearfishermen from all over the world. But, like travelling in any foreign country, there are rules and customs that you need to know or you could land up on the wrong side of the law – or at very least find your self arguing with someone when you should be sitting back, enjoying a beer under a palm tree. Added to that, Mozambique is also plagued by typical African 3rd world corruption, and the traffic cops are notorious scoundrels. So, do whatever you can to obey the laws and stay out of trouble. Here are some tips and things to take note of to prepare yourself for your next Mozambique adventure. If you are stopped by police, never lose your temper and always take as long as you can when being searched. You will probably get asked to leave because of taking too long to open the trailer. If you know you are in the right and getting fleeced, ask to go to the police station. This is a last resort as it could take up even more time, but in most cases, they tend to back off. The longer you hold them up, the less time they have to catch someone else. If you have broken the law, just be co-operative and don’t try fight with them, you will not win. Insist on a written official fine, try pay it at the local police station and get an official receipt. If the charge is not legitimate, or you suspect foul play, call the SA high Commissioner in Maputo (00 258 21 24 3000 or 00 258 84 30 44 600 after hours). Only travel with 200 Mets in your wallet and no cards (all other cash and cards hidden away). If you are stopped and the official does not have a name badge, be on your toes and never show any negative emotion. Just play happy-go-lucky and as jovial as possible. Remember to take your time. on helping just smile and say no thank you, no matter how much they badger you. Put on your ‘poker face’. Naturally you will want to be getting through the border post as quickly as possible, but don’t let them know that. Again, take your time, don’t get flustered or agitated. That’s when they start unpacking your car. If they make you unpack, do it very slowly, stop for a drink … offer them one, and before you know it they have ushered you on to find easier prey. Mozambique has also started to impose import duties on fuel and other taxable commodities. If you are taking fuel, make sure you hide it well and leave an empty fuel can or two on the deck of the boat or in plain sight. A good tactic is, when asked where your fuel is, to say you have none and to ask them where you can get fuel from. Play real dumb. They are also enforcing duties on alcohol and foods, so don’t leave these items in plain sight or in shopping bags. There is an allowance of $200 of groceries per person so have a few cash slips available to this effect. they will claim that you have sold it or left it in Mozambique and want you to pay a duty on it. The speed limit on the open road is 100km/h, most of the speed traps are in the little towns that are found every few km along the main roads. Here the speed will drop to 60km/h and even 40km/h. Make sure you slow down at each of these towns, even if you don’t see a traffic sign, as sometimes there just aren’t any or they park a truck or bus to obscure the sign. Also make sure that your passengers in the back seats have their safety belts on and are not asleep, yes, we have been ‘fined’ for a chap sleeping on the back seat. Recently the Mozambiquan cops have been clamping down on passengers in trucks that have a cab and half. Check your license disc to see how many passengers the vehicle is allowed. Normally ‘Cab & Half’ only allows 2 persons, in which case you will be fined if you have an additional person in the cab. Seats are also only for passengers, so avoid luggage on the open seats if possible. from the local ‘Maritimo’ (Marine Officer) before getting in the water. You will need a boat license, rod license and fishing license, including spearfishing and trophy fish license, if you are going to take Sailfish and Marlin. (be very clear with the Marine officerthat you are spearfishing) Make sure you ask the Marine Officer what you can and can’t shoot, and how many fish you are allowed etc. You need to do this as their rules can change at any time, so get their version in the beginning. Get the guy’s name and even try get his cell number so that you can call him in the event that you are stopped and questioned by another Marine Officer who is trying to find fault with your actions and is using a different set of rules. you know the applicable laws. • Original vehicle registration papers: Note that a certified copy is acceptable at the border post. Persons whose vehicles are still being financed by the bank will not have original vehicle registration papers. They would therefore use the vehicle license papers (where the renewal disk is cut out yearly), or vehicle license papers must be accompanied with a letter from the bank giving you authorization to take the vehicle across the border, including dates. Both the bank letter and license papers should be signed by a Commissioner of Oaths. • If you are not the registered owner of the vehicle: You must carry an affidavit from the police giving you authorisation from the owner / financial institution to take the vehicle abroad. 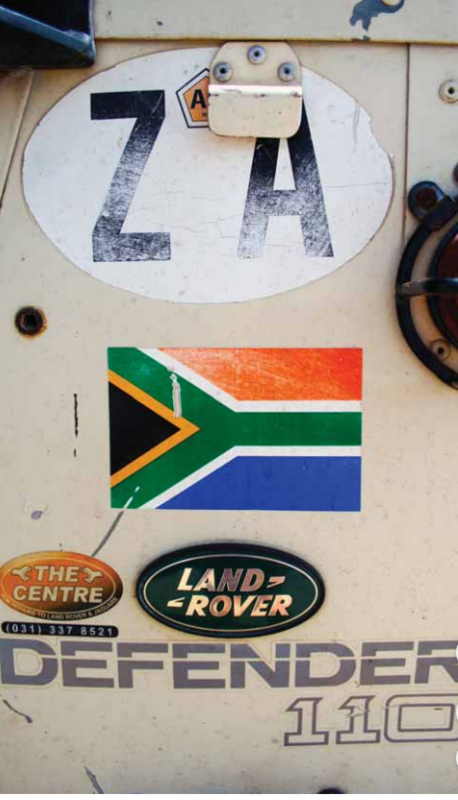 • Temporary vehicle Import Permit (compulsory): DA341 form – you get this at the Mozambiquan border post. – you get this at the Mozambiquan border post. • Yellow and Blue Mozambique Warning Triangle: Two stickers (blue square with yellow triangle inside) required if towing a trailer, one inthe front of the vehicle (on the bumper) and one on the rear of the trailer. than cell phone roaming. Try get ones with more than one kilometre range. Carry spares… of everything you can. Wheel bearings, bulbs, fan belts, fuses etc. and make sure you have good spare tires. Make certified copies of all important paper work and passports etc. Have a separate folder for these and even have someone else carry them in a separate vehicle if you are travelling in convoy. Either get a Mozambiquan sim card or have international roaming on at least one cell phone in your group. Make sure you have a couple ofcontact numbers, like the lodge you are going to and maybe some lodges on your route in case you need to stop over or need assistance. from a genuine exchange or the ‘cash guys’ (there are runners at most petrol stations and border posts) then it might be an idea to exchange some cash. Make sureyour rate is good and check the money carefully. Don’t exchange large sums on the street, that’s just asking for trouble. that adventure you have always dreamed of.